Are you looking for an intriguiung read for the New Year? A novel to gladden your heart? 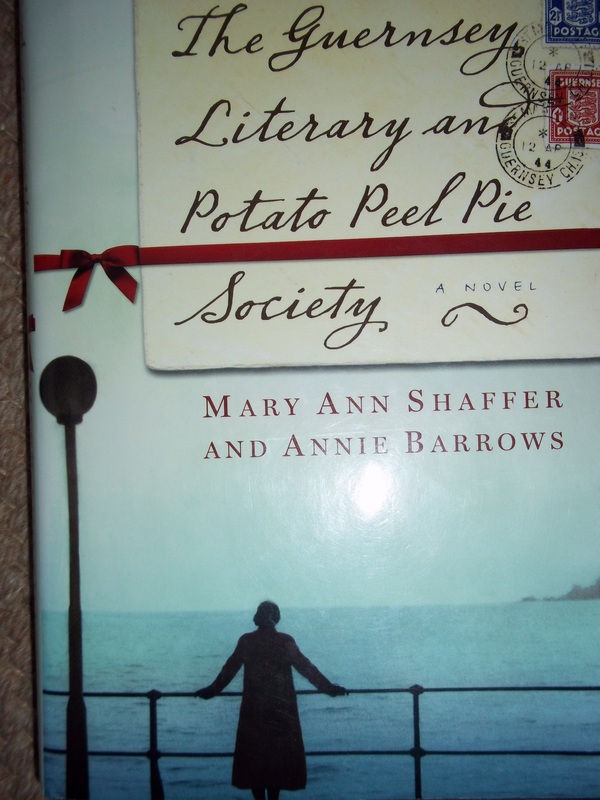 Such is The Guernsey Literary and Potato Peel Pie Society (2007), co-authored by Mary Ann Shaffer and Annie Barrows. The engaging plot evolves through an exchange of letters between the protagonist, Juliet Ashton, a British author and survivor of World War II and another community of survivors on Guernsey, one of the Channel Islands, occupied by the Nazis from 1940 to 1945. One of the islanders, a pig farmer and mason, queries Juliet on the availability of second-hand copies of Charles Lamb, his favorite author, as bookstores in Guernsey were still depleted. A lively correspondence ensues. Reading in between the lines, Juliet senses an unusual story of heroism, enlarged by additional letters sent from other members of The Guernsey Literary and Potato Peel Pie Society, a story that compels her to take the mail boat across the Channel and meet them. Little does she know that her entire life will change. Correspondence between Juliet and her London publisher involves him in her new world, now taking written form through stories shared by these simple folks and though her exploration of this island and its history. From the outset, its beauty stirs her imagination. Here, she can breathe and laugh. Healing of war-torn spirits emerges and new relationships are formed. Although The Guernsey Literary and Potato Peel Pie Society is a novel, still it evidences the art of letter writing with spirit-exchanges, unfortunately rarely practiced today. This sounds like a wonderful Book. I love the name.